Here's some quick tips for newbies playing Angel Stone via Mobile Device or Facebook. To view all tips and guides available here at urgametips.com, refer to the Angel Stone FAQ Guides List for more. *While playing any dungeon stage, hit the "GEAR" icon to pause the game. - This game is easier to play via PC, so any settings will do. - UI Position: Your choice. - Gesture Function: OFF = you'll be using keyboard shortcuts anyway. - Target Trace: OFF = to target AoE skills more accurate, can also be turned ON for 1 vs 1 for quick casts. - Camera View: DEFAULT = better view. - Kinda hard to play, needs some practice. - Gesture Function: ON = You can drag UP ↑ , DOWN ↓, LEFT ← or RIGHT → with your finger to use the corresponding skill in battle. - Gesture Smart Function: ON = Instantly use the skill on the dragged spot. - Target Trace: OFF = to target AoE skills more accurate. - Not recommended, play manually by using the attack button or by casting skills head on, unless you want to auto-farm or play at lower stages, might be ok for mobile users using gesture controls. 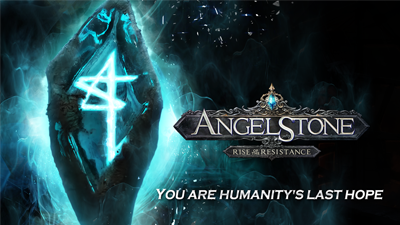 - Claim rewards especially the new Angel Stone for the month. Resets at server time, ex: GMT+8 23:00 (11PM). - Login for Stamina at certain times: (ex: GMT+8 = 11:00~13:00 (11AM), 17:00~19:00 (5PM), and 21:00~23:00 (9PM)). - Reinforce 2 Items: At higher Lvls, it's better to reinforce the lowest item you can get for cheaper fees. - Free Carats as you go on through the game. - Lots of free Gold rewards as you go on through the game. - Send/Receive Soul Fragments to/from your friends. Accumulate at least 100 Soul Fragments to use the Soul Refiner. - You can get free Carats, Gold, and Stamina! - Optional: Manage your Friends List also, remove friends that are inactive for 2 Days or more. - Open right away every time you reach the required Lvl to get some awesome new Legendary equipment. - Sell them to get Gold. - DO NOT sell gears or crafting materials, unused gears should be dismantled to get Iron Ores, then use your crafting materials for upgrading Legendary gears. - Open to get Gold, Carat or an Angel Stone, Cool-down is 7 hours. - Sells Equipment, Crafting Materials and Angel Stones, restocks at certain times (ex: GMT+8 = 11:00~13:00 (11AM), 17:00~19:00 (5PM), and 21:00~23:00 (9PM)). - Watch out for active events to get more freebies. - Compensations due to game maintenance can be redeemed from your Mailbox. - Here you can retrieve all bonuses sent to you. - For Stamina items that has an expiration date of 2 Days or more, you can leave it there until you need it. Do not get all of them at once, consume all Stamina you have first before getting them. - Conserve Your Gold for Upgrading Your Soul Stones. Soul Stones can be upgraded easily up to Lvl 25 or 30, after that, focus on Angel Stones that you need as you go on. - Armory Fees: Mainly to pay for upgrade fees, start upgrading your gears once you get stuck. - Note: DO NOT spend your Gold into Reinforcing all green or blue equipment just to dominate the Lvl 17~19 Battle Zone hehe, better save them for later levels and for your Legendaries. - For Purchasing Potion Buffs before entering battles, like Party Dungeons, Demon Raids or even Battle Zone if you like. - To Expand Blitz Card Slots: Other players wants to do things faster, but this can be left as is, your choice. Upgrade if the fees are really cheap for your current Gold Gain. - Only if you really need it, and have extra Gold. Make sure to cover skill upgrades first. - Buy 1 Story Mode Stamina once per day for 50 Carats to farm more Angel Stones. 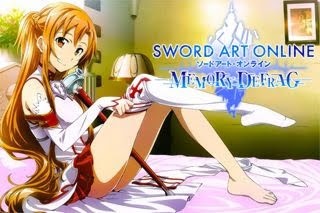 - Party Dungeon and Demon Raid Stamina are optional. - My Optional Suggestion: Buy any of your top 4 or 5 Passive Skills that you really like, start on that since you will be using them the longest. If still unsure, check the "Skill Discussion" from your Angel Stone Inventory Section, or other Angel Stone Guides for your character. - Other Angel Stones can be purchased once you know what you really like for late game. - Note that it's cheaper to farm them from Dungeon Stages, if available. Refer to the "Purchase More Mission Attempts" below. - For heavy Carat Users, but the Gold section is optional for F2P players, especially during Discount Events. - F2P players: only reset once per stage per day, to farm more Angel Stones. Make sure that you only farm what you really want and will be useful in the long run. Ex: Your top 4 or 5 Passive Skills, since you will be using them the most. - This is really useful to increase Stars fast, and to get needed Angel Stones right away rather than later. - Best used by heavy Carat users.